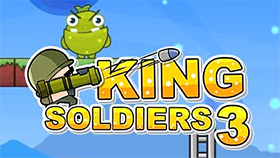 King Soldiers 2 Is a casual point and shoot game with a cute art style. 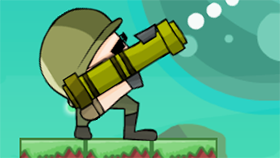 In this game, you control a sniper as he defeats all the monsters in each stage. 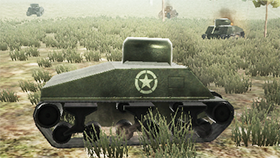 The game’s point and shoot style of gameplay makes it seem simple, but after going into each new stage, you’ll see the game become more challenging, requiring you to have precise aiming in order to pass each stage. The interesting thing in King Soldiers 2 is that there are moving metal bars that block your shots, but you can use them to reflect your shots into the monsters that are out of reach, and sometimes you’ll have to shoot monsters while either you or they are moving. You can turn the music, sound on/off or press restart on the game screen. When you shoot at the metal bars, your bullet will be reflected based on the direction that you shoot. Some monsters have multiple hearts so you’ll have to shoot them multiple times.